Italian Air Force Falcon 900. Sept. 16, 2018 - Today, in the afternoon, at approximately 1.30 PM LT, a Falcon 900 Easy of the Italian Air Force landed in Pittsburgh, Pennsylvania, after about 11 hours of flight. The aircraft transported a 5 year old Italian girl suffering from a rare pathology to receive an experimental treatment at the University of Pittsburgh Medical Center (UPMC). This transport was necessary due to the serious health of the little patient. 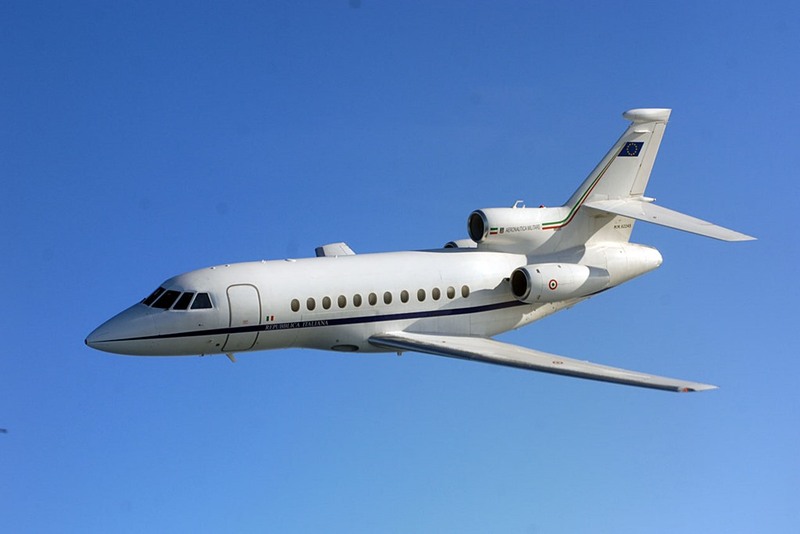 The Falcon 900, assigned to the 31st Stormo of Ciampino, Rome, had taken off at 1.40 AM LT last night from its home base, after embarking the child who had arrived by ambulance from the Policlinico Universitario Agostino Gemelli of Rome. Aircraft and personnel of the Italian Air Force are ready to take off every day, in very short time, for public service missions, such as emergency medical transport of serious patients, in addition to transporting organs and medical teams for transplants. The aircraft of the 31st Wing of Ciampino, the 14th Wing of Pratica di Mare and the 46th Air Brigade of Pisa complete thousands of flying hours each year to carry out these "Dual Use" missions. In 2018, the aircraft of the 31st Wing have already transported around 40 patients, many of them children, and over 100 passengers between medical and nursing staff.